Last edited by CooknThyme on Apr 20, 2018 6:39 pm, edited 1 time in total. What a great subject for a class! Growing tomatoes at this altitude is extremely challenging, especially without a greenhouse. 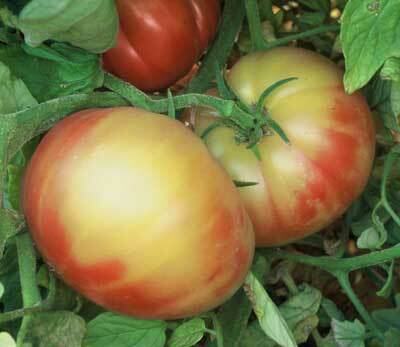 Sharing your wealth of experience will be well worth the time for anyone wanting to know more about growing tomatoes. I'm sure it will be well attended. Hey Cookn, good to hear from you girl! Thanks for volunteering your time and offering up your gardening experience. That's very generous of you. Growing tomatoes in the mountains is rather challenging, but you make it look simple. I can't be there then, but looking forward to see what tomatoes you will grow this year. CW - I'll be talking about Northern Lights tomatoes. Thanks for sharing those with me. Yes, there are still slots open for this class. I have toured CooknThyme's garden and greenhouse and they are impressive. One year, I remember she did a test on various tomato types to see what grows best up here. If you get a chance to take this class, I think you will learn a lot of good, tested, valuable information about growing tomatoes. My husband & i took the High Altitude Gardening Class April 7th, and were so glad we did. Thanks for more kind words everyone. TB, yes I try to grow a new variety (or 2) of tomatoes every year. It's been fun experimenting and I have learned a lot. My favorite outdoor tomato for this environment is still Stupice. I grow it almost every year. Sorry Sweetiepie that you can't make it to this class too. But be sure to reach out to this forum if you have any gardening questions. Have a great season. Just a few slots still open. Just wanted to make sure my message went through that I wanted to attend your class? No I did not see a PM from you. But I have you down on the list now. See you then. The class is now full. Thanks everyone. I'll see you on the 5th!